We have posted many details about making positive first impressions with a new employer here on the PHR Services blog. However, while appropriate dress, punctuality, and performance are all important parts of putting your “best foot forward”, your actual “first” impression happens before you ever set foot into a new office. Your resume is actually your initial form of contact with potential employers. Since your resume makes the difference in either getting an interview or getting passed by, it’s important to make sure yours stands outs from the stacks of other applicants going through the hands of a hiring manager. So, how do you write a resume that gets you to the final round with the HR department? First, keep it concise. A resume that is several pages long will not only look unprofessional, but is also less likely to be read in detail due to the length. That means important information (that could make you a great candidate for the position!) might not even be seen. The general rule of thumb is to keep your resume to one page, although that can be altered a bit for professionals who have more experience pertinent to the position being applied for. Using bullet points, and condensing information into informative, clear sentences is the best way to shorten your resume. Secondly, DON’T assume that a single resume is suitable for each and every job. Your resume needs to be tailored to each position you are applying for. Using keywords specific to the employment opportunity means your resume is more likely to make it to the desk of the hiring manager instead of getting tossed automatically. See, many HR departments use a system that scans resumes for certain keywords that are very specific to the job to be filled. The resumes that clear the initial scan will then be reviewed by either the hiring manager directly, or pass through the hands of another lower-level HR assistant for further review before making it to the final round of applicants. 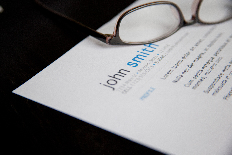 If you tailor your resume using keywords and information, you are more likely to land the job. Finally, list all work experience, not only those you think will be “attractive” to a potential employer. While it’s great to have prior employment in the same, or similar, field to the job you are applying for, even time spent working in the fast-food industry teaches valuable skills (like teamwork, flexibility, and quick thinking) that bosses find helpful. By listing all of your prior experiences, you not only fill in any gaps that might otherwise be left behind, but you also show off a variety of skills and talents. We hope these tips help you prepare your resume to get the job that’s perfect for you. Have your resume all ready to go? If you are seeking employment in the Central Florida region, give us a call or apply for one of our multiple openings here on our site. We provide top-quality applicants for employers throughout the greater Polk County area, and our goal is to provide excellent service for not only the employers we work for, but also for each applicant that comes through our door.